Small footprint with high accuracy and dependability. Optimized to reduce transaction time and manual entry errors, the MICRSafe is a single-feed MICR reader with a reliable and durable design. 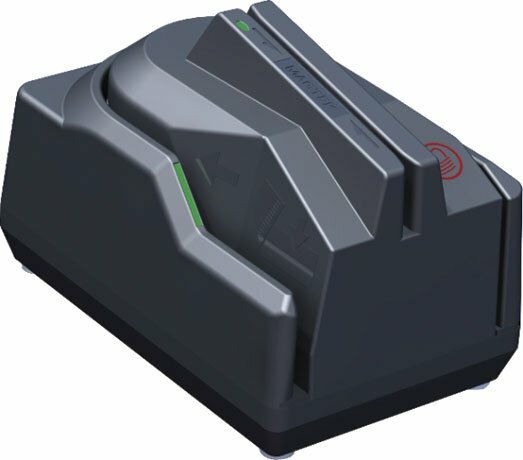 Ideal for retail applications where fast and accurate MICR reading is required, the MICRSafe offers a range of interfaces options, including connectivity to the most popular POS terminals. With a simple drop-and-push check feed movement, the MICRSafe significantly speeds check verification and conversion. The MagTek 22551002 is also known as Mag-Tek	MAG-22551002	.